I can't even find the words to unravel/lambast this latest bit of luxury fatuity. The people at Montblanc - the Swiss luxury goods manufacturer - recently released a limited (thank god) edition pen that sells for something like $23,000. 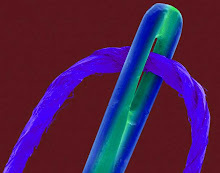 (FYI: India's per capita GNI is $950; 27% of the Indian population currently lives below the World Bank's poverty line). "The design pays tribute to his life and achievements. The top of the cap and cone are inspired by the spindle which Gandhi used to spin cotton – one of the symbols of Indian independence. The colour white is a reference to truth and peace, while the Mandarin garnet represents the orange colour that is part of the Indian flag. The nib shows an image of Mahatma Gandhi, walking with a stick. 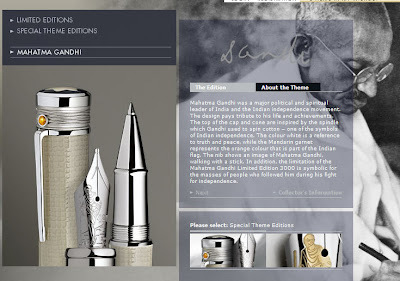 In addition, the limitation of the Mahatma Gandhi Limited Edition 3000 is symbolic for the masses of people who followed him during his fight for independence." 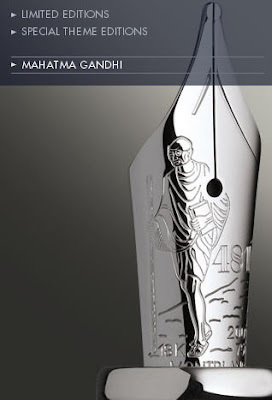 Here's the detail from the pen which depicts Mahatma "walking with a stick" - apparently, him setting off on the Salt Satyagraha in July 1930 as a silent protest against unjust taxation policies of the British colonial rulers. According to a Washington Post article, after receiving a fair amount of completely warranted criticism for this half-witted insult to the life and message of Gandhi, Montblanc are donating $145,000 to the Mahatma Gandhi Foundation. They'll move back into profit, I guess, after selling the sixth pen.